Studio 20's professionalism is famous all over the world, our company enjoying the respect and appreciation of the online modeling industry, thanks to our Jasmine Gold Certification and the awards we won at important festivals held in Los Angeles, Las Vegas, Barcelona, Prague, Cartagena, and Mamaia. The glamor approach, constant innovation, dedication, work conditions and especially the marketing and promotion offered to our webcam models, who are topping a lot of live cam sites' charts around the world, recommend us as the best live cam studio in the world! 9. Aubrey Nova - Best Emerging Live Cam Model of the Year (YNOT 2017). Besides the trophies won and the numerous locations, Studio 20 can boast of having the most pleasant working environment and a team that is very united and careful to the webcam models' needs. We are a law abiding live cam studio, therefore all our webcam models sign, from their very first day, an artist-performer contract and bi-monthly, they sign additional papers, in which are stated all the details of their activity. 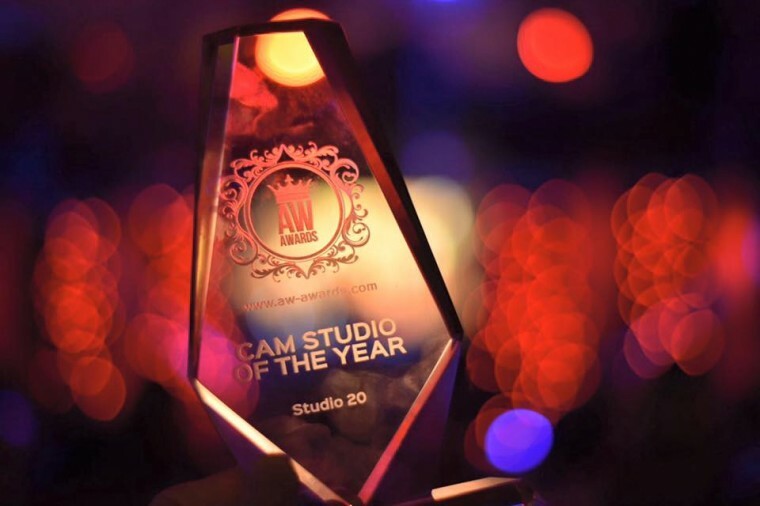 Studio 20 is the world's best and biggest live studio, receiving numerous awards at international online modeling award ceremonies held in Mamaia, Prague, Barcelona, Los Angeles, Las Vegas or Cartagena. Also, Studio 20 is the first cam studio in the world to receive the Jasmin Gold Certification. This means that all Studio 20`s cam girls earn more money, and they benefit from preferential conditions and permanent dedicated support. Hello, I am writing to you from Russia. I am 21 years old, working as a model for 2 years on such sites as Jasmin, Streamete, Imlive, Streamrey, CamContacts, X-love. I really want to increase the productivity of my work and prospects in my country, I do not see in this profession. I studied your site and understood how much we are lagging behind in technical terms and the rest too. I wanted to ask if you had the practice of taking models from other countries to your studio? And under what conditions. If there is a need for photos, I will send. I want to know how much we need in franchising live cams. And it is possible to put up here in the philippines? Are you interested in partnership/contract with a Startup Venezuelan Studio? Is studio 20 for women only? Or are men involved in it as well? Do you work with internet development companies ? I will serve the people who love me. You have my attention. And would like to find out more .